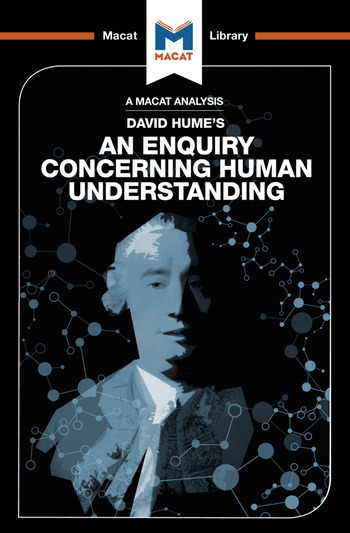 David Hume’s 1748 Enquiry Concerning Human Understanding is a modern philosophical classic that helped reshape epistemology – the philosophy of knowledge. It is also a classic of the critical thinking skills of analysis and reasoning. Analysis is all about understanding how arguments work and fit together. Having strong analytical skills helps to break down arguments, pull out the evidence on which they rely, and understand the kinds of implicit assumptions and reasons on which they work. Reasoning, meanwhile, means building and presenting arguments, forming well-structured, evidenced, and organised cases for a particular point of view. Hume applied his analytical skills to arguments about how humans know and understand the world, and how our minds work. At base, he was trying to analyse human reason itself – to show the workings and limitations of the human mind, and show the origins of our beliefs. Hume went on to apply his reasoning skills, creating an enduring argument about the nature of human knowledge. The result was one of the most striking and famous works in the history of philosophy.